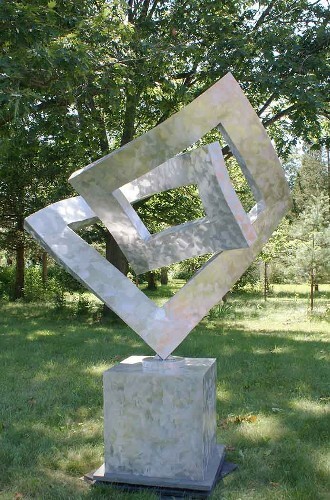 The metal sculptures of John Searles reflect his enduring interests in geometry, design, movement, energy and freedom and are an expression of his on-going dialogue with the metals he works with - aluminum, steel, stainless steel, copper and bronze. His background in poetry, painting and photography has heavily influenced his focus on shape and design. 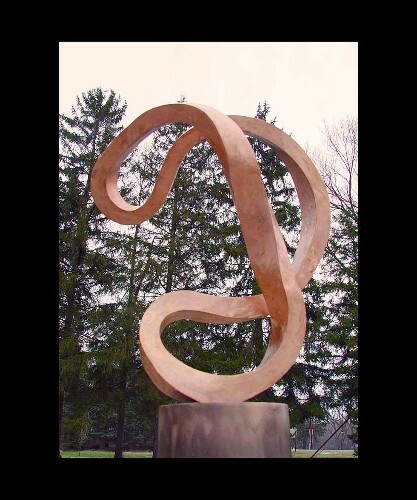 At times his artwork appears to depict the fluid movements of a Kung Fu master, or the flight patterns of a bird catching insects in the summer evening air. 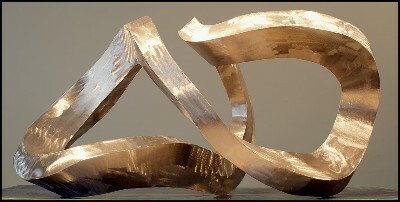 Other times, the metal represents dancers intertwined. Searles lives and works in a converted 5600 square foot factory on three acres of land near Lake Michigan. The front third of the building is a light-filled gallery. The back part is a tool- and worktable-filled space with two garage doors and a view out over the property to the woods behind. 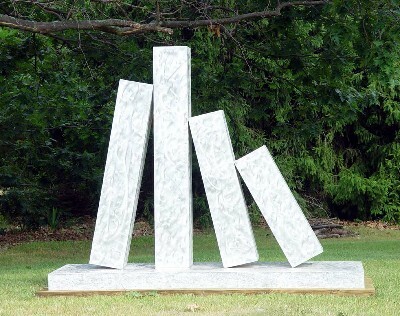 Sculptures populate the lawn in front of the gallery. The grandeur of the water and sky and the serenity of the land infuse his work. 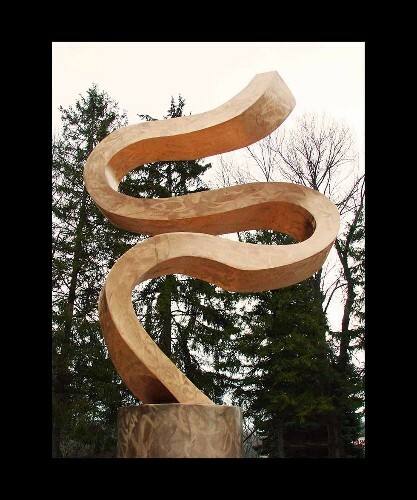 Searles’ studies as a sculptor build on his expertise with tools, his studies in Chemistry and Chinese, and nearly 40 years background in the arts. 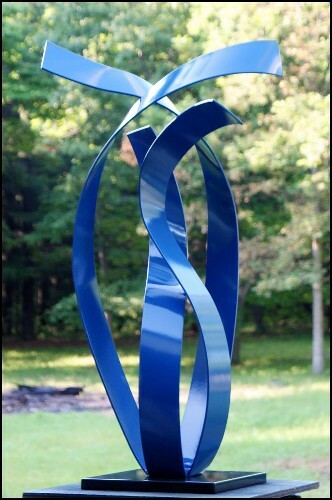 Searles develops his designs by cutting shapes out of metal, then forming and studying them as he proceeds. His purpose is to delight the brain and visual centers as Music for the Eyes, as well as to celebrate the human spirit. 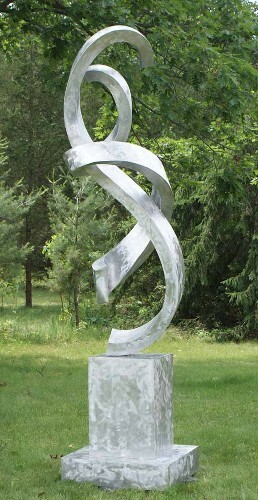 In addition to his sculptures, Searles has built a national reputation with his wall sculptures, metal weavings, metal tiles, abstract paintings and photographs. 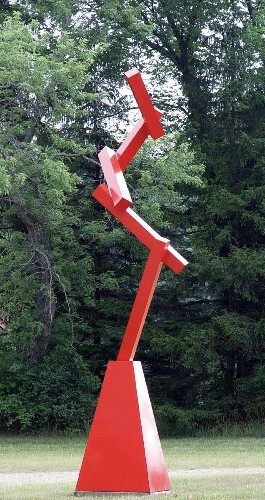 His works are included in the collections of many hotels, corporations and private homes across the United States.